Please note, the giveaway portion is now over. Congratulations to entry #41! Do you love peanut butter cups? As a child, my favorite candy was peanut butter cups. It is what I coveted most from the stash of Halloween treats I collected every year and I could eat several in one sitting. 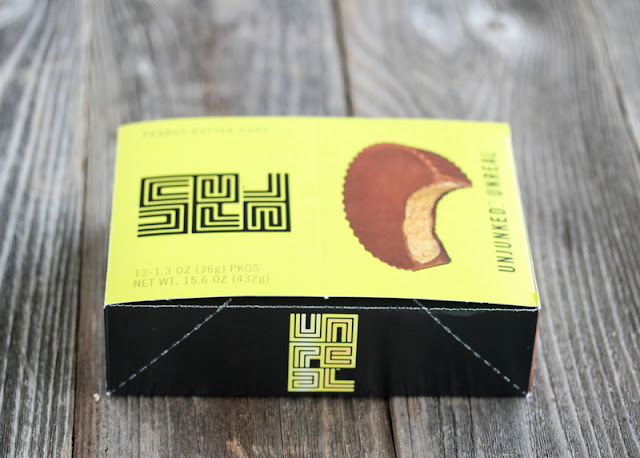 Recently I was provided with a sample of Unreal’s peanut butter cups. Unreal is a candy company which is trying to “unjunk candy” by getting rid of the artificial ingredients, preservatives, etc. 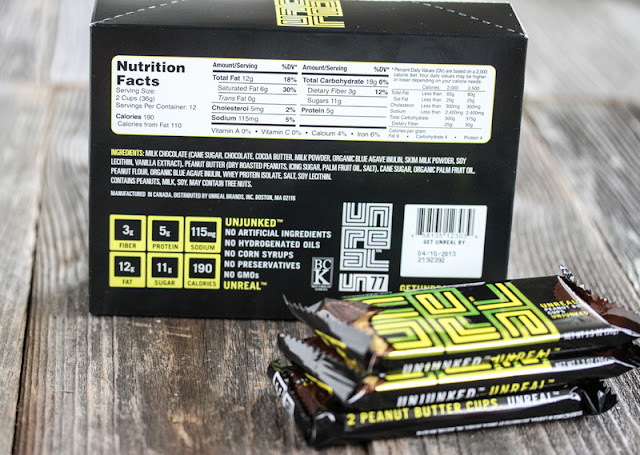 These peanut butter cups, called Unreal 77, have less sugar and no GMOs, no preservatives, no hydrogenated oils, no corn syrup, and no artificial ingredients. I loved them. They taste just like peanut butter cups should. And I felt even better eating them knowing that they are healthier. Unreal is generously offering to give one of my readers a large stash of peanut butter cups. More information on the giveaway is at the end of this post. After eating four in a row (eek! ), I thought I’d use some up for baking. 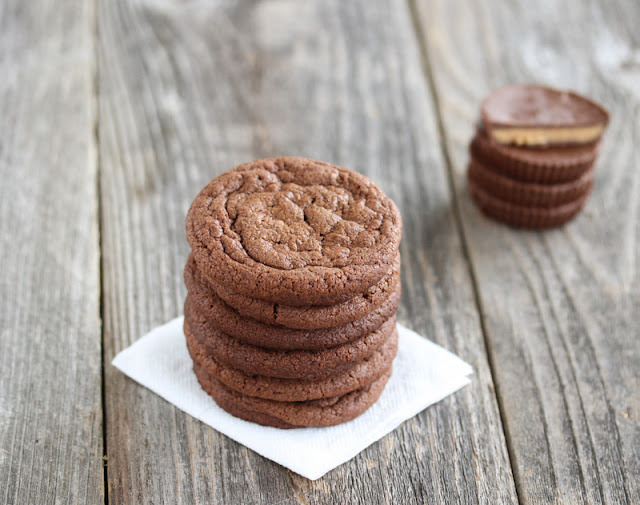 I made these easy three ingredient cookies using the candy that taste great. Crispy on the outside and slightly chewy on the inside. They area a breeze to make like all my other easy cookie recipes lately. Though you will need a food processor to mash up the peanut butter cups. The other thing I like about these is that they have a really cool logo. It looks like a maze, but it actually spells out “unreal” and the logo is embedded on the bottom of each of the cups. 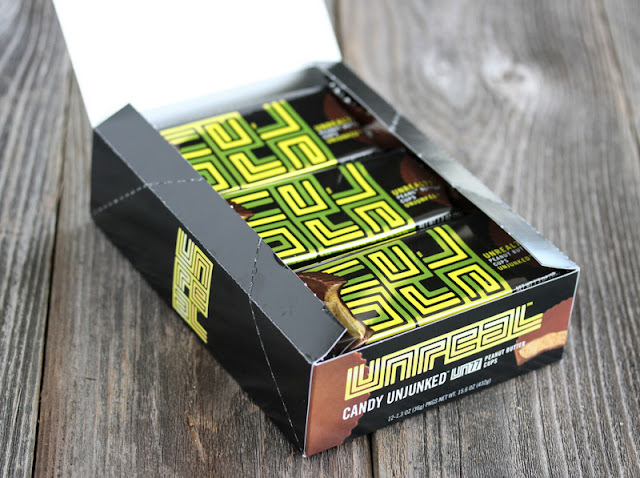 Giveaway rules: Unreal has offered one of my readers a chance to win a bundle of Unreal 77 peanut butter cups. The winner will receive two boxes and two bags of peanut butter cups. This should be plenty to last someone a while, share with some friends and maybe make these cookies. Please note, this contest is only open to U.S. Residents. The winner will be chosen using random.org. Contest runs until 11:59 pm EST on March 11, 2013. To enter, leave a comment at the end of this post, telling me what you plan on doing with the peanut butter cups. 1. Like this post on Facebook. Then leave a comment at the end of this post telling me you’ve done so. Make sure it is a separate comment from your other comment entries, otherwise it will not be counted. 2. Follow me on Twitter and tweet the following message “Win Unreal 77 Peanut Butter Cups @kirbiecravings https://bit.ly/YmcS22” Then leave a comment at the end of this post telling me you’ve done so. Make sure it is a separate comment from your other comment entries, otherwise it will not be counted. 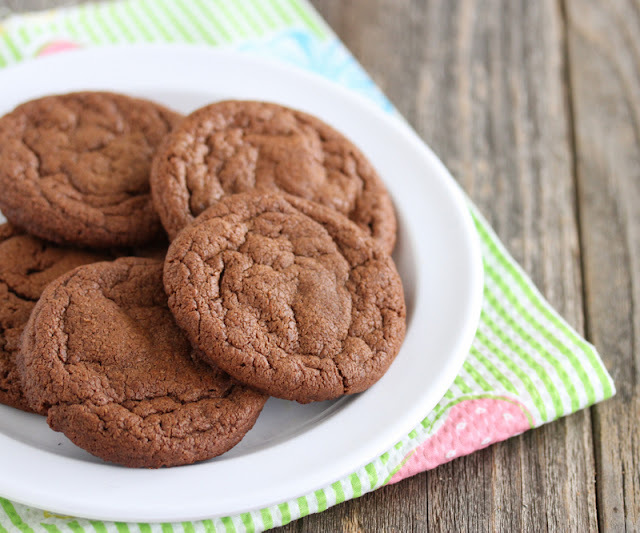 These peanut butter cookies are so easy to make with just three ingredients! Preheat oven to 350°F. Mash peanut butter cups with a food processor until a smooth paste is formed. Add in 1/2 of an egg and baking soda and mix until batter is smooth. Take 2 tbsp dough and roll between palms until smooth balled is formed. Place onto baking sheet lined with parchment paper. Repeat with remaining dough, spacing 2 inches apart. Bake for 10 minutes. Cookies will initially be puffy, but will sink down when cooled. Let the cookies cool on the cookie sheet until flattened before removing. 1. Preheat oven to 350F. Mash peanut butter cups with a food processor until a smooth paste is formed. Add in 1/2 of an egg and baking soda and mix until batter is smooth. Take 2 tbsp dough and roll between palms until smooth balled is formed. Place onto baking sheet lined with parchment paper. Repeat with remaining dough, spacing 2 inches apart. 2. Bake for 10 minutes. Cookies will initially be puffy, but will sink down when cooled. Let the cookies cool on the cookie sheet until flattened before removing. I don’t think these peanut butter cups would last long enough to preheat the oven. The whole family loves peanut butter cups and we would eat them as is. I plan on eating some and sharing them with my college friends! Oh man. I have seen these PB cups at CVS and have always wanted to try them, but I dont usually buy candy. The idea of a candy without partially hydrogenated oils or HFCS appeals to me, because these ingredients have been linked to high cholesterol and diabetes. 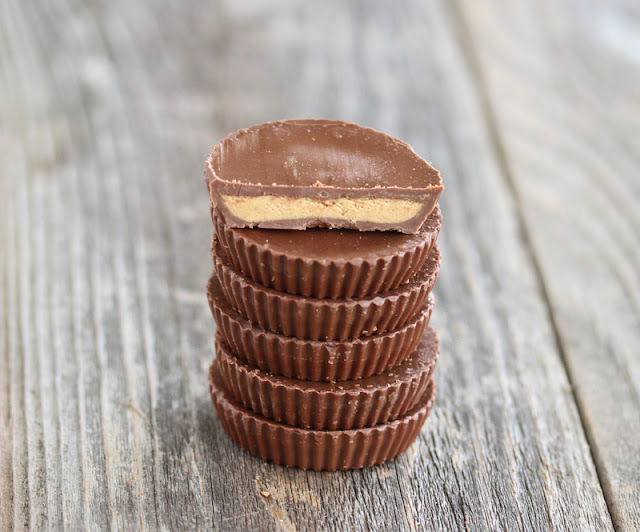 If I got these PB cups, I would stow them in my work drawer and eat one every afternoon when I need a pick-me-up. My office always has some sweet snack like cookies, brownies or cakes on the communal table. 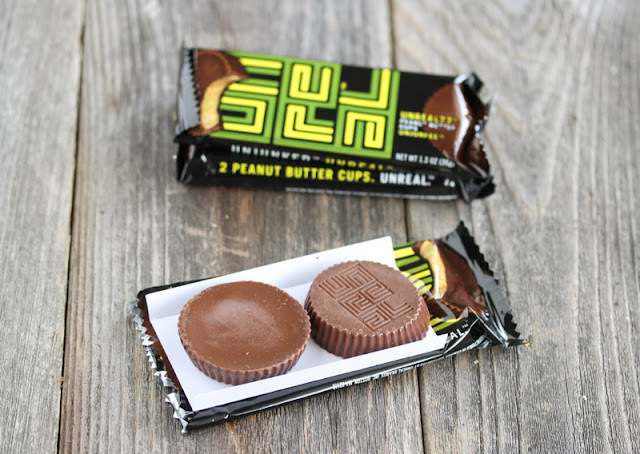 These PB cups would be a great change/addition to our usual work treats. My lab/office loves to eat and I am sure everyone would appreciate these! 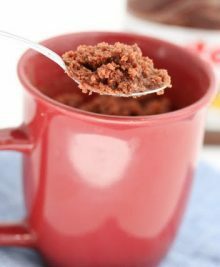 Most wouldn’t last to be included in a baking project – but I’ve been looking for a candy mix-in for some oatmeal muffins that are on my to-bake list! Oh, and I have liked the post. I was tempted to buy these at target yesterday. I guess I should have. Liked on fb! Honestly, I’ll just eat them, and probably share one with my daughter. I “like” this post on Facebook (FB name: Madeline Brubaker). Mmm, I love PB cups! I would definitely try out this cookie recipe first and then chop some up to use in place of chocolate chips for other recipes. I’d add it to a batch of ice cream and share with my husband and daughter. I would share with my friends. The cookies look delish as well. My boyfriend’s favorite snack are peanut butter cups, but he’s been working to be healthier, so those snacks have sadly been pushed aside. I think if he knew that there were a healthier option out there, he might be OK with a celebratory nibble here and there! But your cookie recipe is pretty tempting too! I think I would hoard the candy all for myself! Well, if I could get any from my husband — a peanut butter cup fanatic — I would probably make some cookies, or top some peanut butter and chocolate cereal bars with chopped cups. I have liked the post on facebook. I have tweeted the tweet. I just got finished making some peanut butter cookie truffles… but I would love to try your 3 ingredient peanut butter cup cookies using Unreal 77! i follow on tweeter and tweeted! Share? Share??? Well I suppose I should share with my adorable spawn and spousal unit. Mmm peanut butter cups! 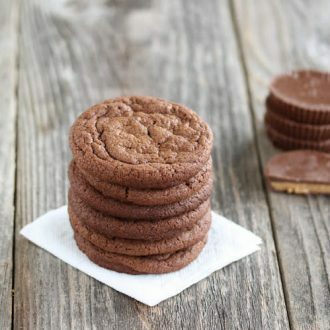 first, after making these cookies (I’ve already tried the recipe by the way, BIG fan), I would give a some to my best friends who is a bigger Candy addict than me. Then I would make the cookies again and the rest I would just devour. I saw the Unreal candies at Target the other day – how interesting! 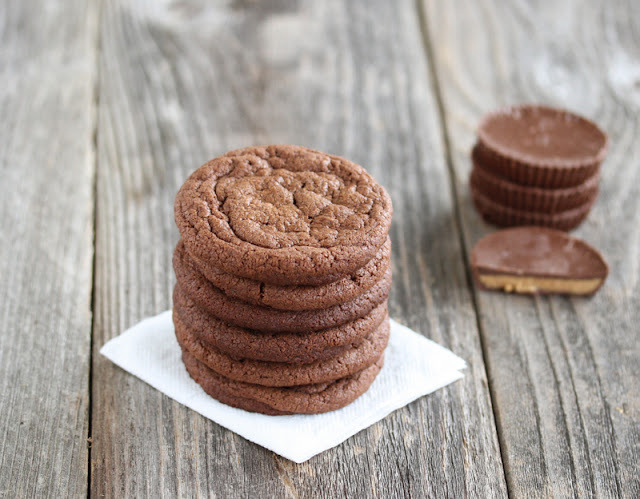 I’d love to try them – I’d probably try these PB Cup cookies, but also eat them plain with some friends? Actually, I’d share them with my own kids and their friends because they are a healthier treat! OMG I would EAT them!!! I have tried those and I love them sooo much!!! Yum yum! I almost bought them at target the other day and I would be ecstatic if I won! imma stuff my face full knowing that i’m healthier than i would have been if i stuffed myself with regular peanut butter cups. I would eat those pb cups as is and if there are any leftover, try to incorporate them into a cookie recipe. After I eat a few, I’ll use some to make a decadent chocolate peanut butter cheesecake. I plan on eating them 🙂 maybe ill even share! We would put them in the freezer for a cool snack. I’d definitely eat these as is…but some of them would have to baking those cookies! My mouth is watering just looking at them. Liked the page on facebook! I’ll eat several, and share some. I tried the candy coated chocolates, they taste better than m&m’s ever did! Um, eat them is what I’m gonna do! and I followed you on Twitter.. I really want to win these. I ‘loved’ this on Facebook! Wow, those sound incredible! Peanut butter cups are my favorite too and I plan on eating them ALL myself!!! My favorite thing ever is pb! I would share these with my family & work friends. If left all to me, I’d probably eat them all! I’ve also ‘liked’ the post on facebook. 🙂 Wasn’t aware you were on there! I’ll share them with my sorority at school and we can all feel better about ourselves to go along with our health education week later in the semester! I will honestly probably eat all of them before I even start baking or giving it away. I like this post on facebook as Lle Schreiber! They would be shared with my wife and kids, we are huge peanut butter and chocolate fans. Have yet to try the Unreal brand but they look awesome! I liked the Facebook post. I follow you on Twitter and tweeted: https://twitter.com/FireRunner2379/status/309069518330789889. 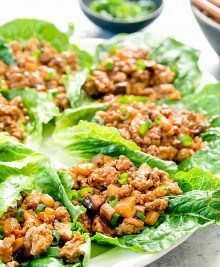 Would love to try these and maybe even share with my family! Love baking and want to try this recipe. Thanks for the chance to win and try these out. I would love to make a yummy peanut butter pie but honestly I’ll probably just eat them all first! I would eat them as is and ontop of ice cream! Definitely will try them as is, but I love the idea of healthy cookies & look forward to my 1st batch! I would love to be able to share the PB cups with my church group family as most are not particular with what they eat. I bake for them all the time & try to make my goodies healthy for them. Winning the candies & making the cookies would be a great addition for the group. Thanks for the opportunity to enter. I would eat some and use some for baking. I plan on eating them as is! I’d share them with my wife. Liked your post on facebook!! Totally a must in my house!